Hanoi’s streets new and old have inspired artist Nguyễn Anh Minh to find his own painting style, after years of searching. 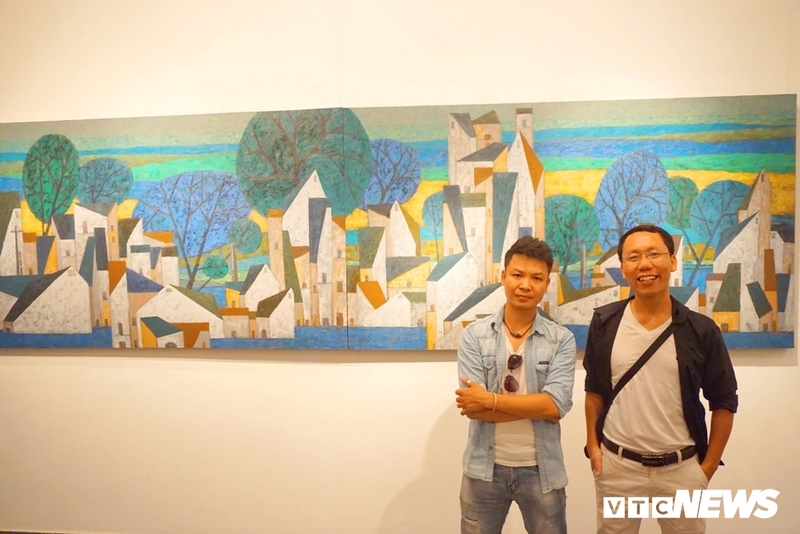 Entitled Nguyễn Minh & Street, his exhibition displays 29 paintings and six sculptures at Vietnam Fine Arts Museum, providing a look at the streets of Hanoi. The paintings are made with acrylic and oil on canvas, while the sculptures are made with iron and composite. The idea about the streets came to Minh in 2013 when he was about to earn his master’s in fine arts at the Vietnam University of Fine Arts. "One morning on the way to sketch for my thesis, I sat drinking water on Khuất Duy Tiến crossroads and looked over the underpass of the highway I noticed the houses which were being destroyed and replaced by the new bridge and the new road," said Minh. Feelings of loneliness and regret came to him when he thought the same may happen to his village one day. But he suddenly realised the beauty of blocks between pillars and the edges of the bridge. He noticed the undulated roof and the bright sky above that roof. Minh tells stories of streets, villages and trees through his art. By mixing painting and graphics he uses colours which are sometimes warm and other times cool, expressing mixed feelings about the disappearance of streets, villages and trees in Hanoi. "Sometimes I think that an artist needs to have his own points of view that help him to be recognized. It is very hard because there are thousands of different turns in the art," Minh said. 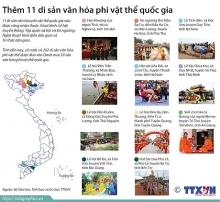 The artworks about streets were made from 2016 to 2018 and have helped Minh be confident in a theme common among many great Vietnamese artists. 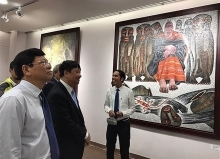 "The artworks at this exhibition show the calm and optimism of the young genernation which Minh represents," said veteran artist Lương Xuân Đoàn. "They have to face the indispensable breakdown of old conceptions between tradition and modernity," Đoàn said. Paintings entitled Rain on the Street, Cold Street and A Street Melody sculpture feature streets without any trees. When trees were cut down in Hanoi, Minh heard the cry for help of trees, saw the change of ecosystem and homeless birds and the regret of the citizens. "I always look forward the alteration for my streets which will become more personal, more romantic and carry my childhood in the artworks," said Minh. Minh is member of the Vietnam Fine Arts Association. 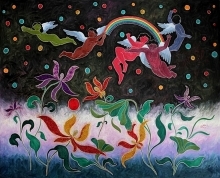 He has participated in many group exhibitions and this is his first solo exhibition. He has awarded by the Hanoi Culture and Arts Association; Prize A by Hanoi Fine Arts Exhibition and award of Red River Fine Arts Exhibition Vietnam - South Korea. The exhibition runs at 66 Nguyễn Thái Học Street till tomorrow, from 8.30am to 5pm.